Supporting the industry's best response times for an 8 TB nearline drive, Seagate's Enterprise Capacity 3.5 HDD enables the fastest data transfers thanks to our comprehensive advanced caching technology. 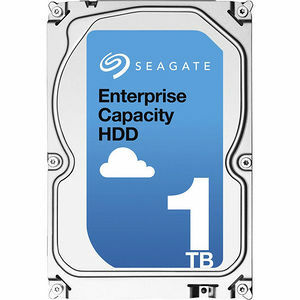 When building maximum density server and storage solutions with Seagate's 8 TB Enterprise Capacity 3.5 HDD, you can rest easy knowing that your storage infrastructure can scale to meet your growing capacity needs while offering your users a consistent and predictable response rate. Built to support enterprise-class nearline workloads of 550 TB per year and backed by a 2M hour MTBF and 5-year limited warranty, the Enterprise Capacity 3.5 HDD ensures you can meet all of your bulk storage SLAs.